Applications for the January 2019 Institute are now closed. What is the GC Digital Research Institute? Hosted by the GC Digital Fellows and part of the GC Digital Initiatives, the GC Digital Research Institute (GC DRI) is a week-long intensive training course where participants learn core digital research skills while connecting with peers in an interdisciplinary environment. Building on the success of prior Digital Research Institutes in January 2016, June 2016, and January 2017, GC DRI combines training in areas such as the command line, git, Python, and databases with more specialized short workshops and professional development sessions. Participants will come together to share their own research goals, collaborate on a shared project, and present what they have learned in a casual but challenging setting. 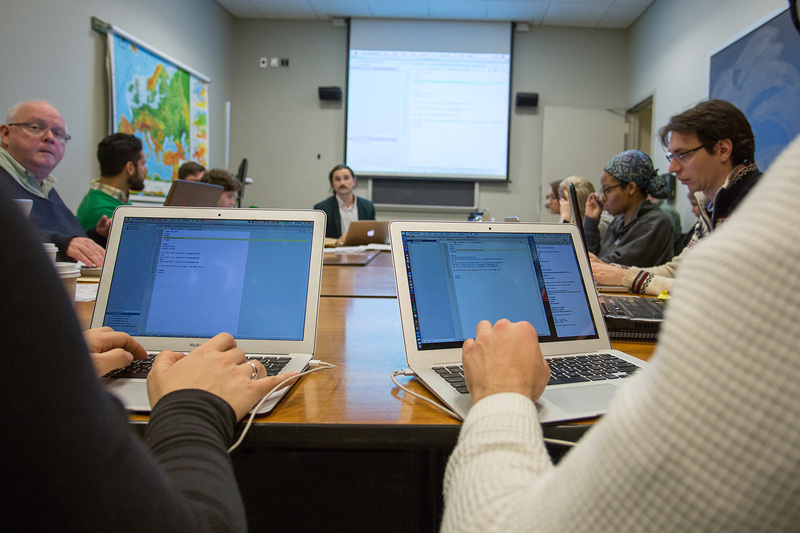 Free of charge to participants and open to all members of the Graduate Center community, the GC DRI is developed in partnership with Software Carpentry, the New York Public Library, Mozilla Science Lab, Humanities Intensive Learning and Teaching, and the Digital Humanities Summer Institute. The GC DRI is sponsored by GC Digital Initiatives and the Provost's Office The Graduate Center. Engage with researchers who are passionate about using digital tools to enhance their work. Inspire peers and the world at large with your work by learning new presentation techniques. Build technical and professional skills through small collaborative group oriented workshops. Still not sure if this is right for you? Read about the curriculum for the January 2018 Digital Research Institute, check out participant experiences on the Digital Fellows blog, or peruse the real time #gcdri twitter stream. Applications are due before 11:59pm EST, November 30th, 2018. We will notify applicants about the status of applications in early December.